Chipkin 1-Wire Data Client/Logger reads and stores data from 1-Wire DS18b20 temperature sensors. 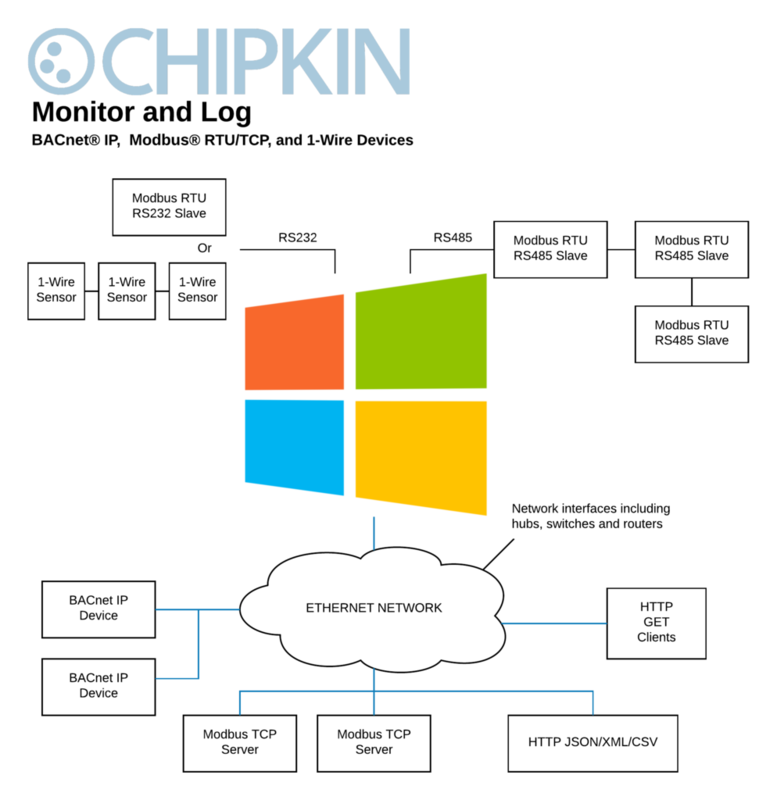 Chipkin™ 1-Wire™ Data Client (aka Data Logger, Data Recorder) connects to 1-Wire DS18b20 temperature sensors to read data. The Data Client operates by reading the temperature data from the 1 or more DS18b20 1-wire sensors. The data and transactions are logged into an internal database. The log files are available and can be transferred to other computers and can be monitored by remote systems running applications that can issue HTTP or SOAP/XMP GET requests – such applications can be easily developed by end users. Of course, this data is also available using an Internet Browser such as Internet Explorer or Google Chrome. Connection parameters, device parameters, and data parameters are configurable.